area we have found the price, quality, and excellence of service at Greentop Sporting just can't be beat. 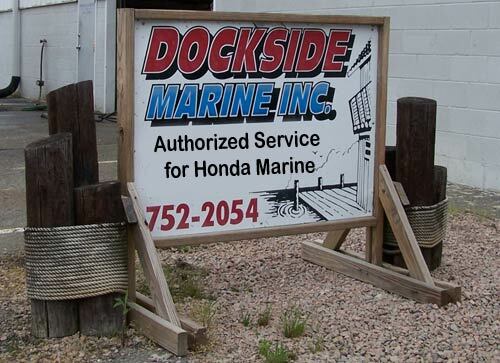 Dockside Marine Inc offers a full range of marine services for local fishing and recreational boat enthusiasts. We are Honda Marine factory trained, certified technicians. We have replacement parts and accessories available. We specialize in wiring, and new instrument instillation. Find out why almost all of our business is repeat or referrals from happy customers. Dockside Marine has used and rebuilt motors for sale. We service Honda, Mercury, Mercruiser, Yamaha, Suzuki, Evinrude and Johnson. We also repair trailers. Occasionally we have, motors, boats or trailers for sale. Dockside Marine also performs prepurchase mechanical checkouts and evaluation services for motors, boats, and trailers at Commonwealth Boat Brokers. Please give us a call at 804-752-2054 and we can schedule an appointment. Detail to Retail provides or site detailing at Dockside Marine. Checkout there website at detailtoretail.weebly.com and set up an appointment.